Nice to meet you on Audiko.net! 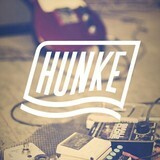 Here is a chance to download a free hunkE ringtones for your iPhone or mobile. Scope out your favorite moments from your favorite piece of art - Tool f/ Slug, Murs & Aesop Rock - Intension, Red Hot Chili Peppers - Californication [hunkE Chill-Trap Re, ❄ Winter Rain ❄, or any other track. We provide you with an option to have your tone both in the MP3 and m4a formats, played by both mobile phones and iPhones. Just select a track, and choose free hunkE ringtones download option.